1/3'' Megapixel Color IP Security Camera with Resolution max. 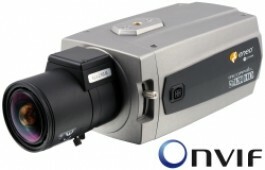 : 1280(H) x 720(V), Compression standard-H.264, MJPEG and Supply voltage: 12VDC, 24VAC, PoE. Lens not included.